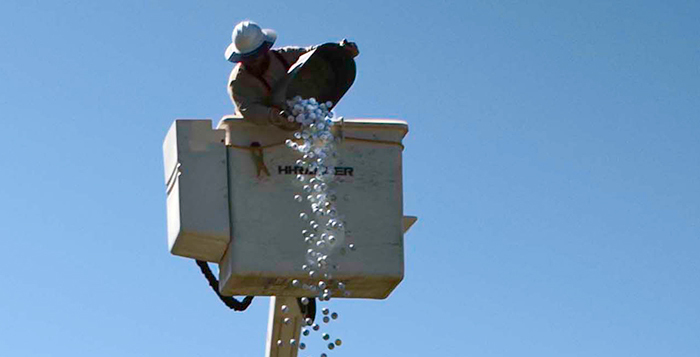 The Maricopa Lions Club sold entries into its inaugural golf-ball drop on March 26. Electrical District No. 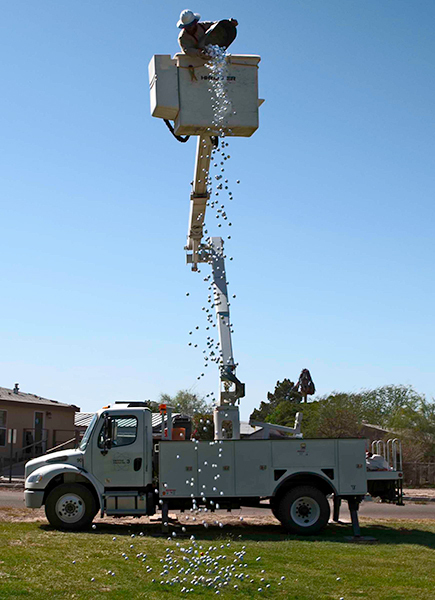 3 provided a “cherry picker” to drop the 854 numbered balls and one red ball onto the grassy surface at Rotary Park. 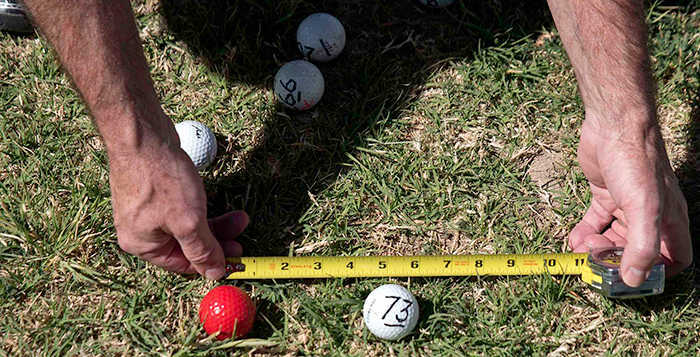 Maricopa Police Chief Steve Stahl was the official judge to determine which ball was closest to the red ball. The golf balls sold for $5 each. Zack Park, who bought ball No. 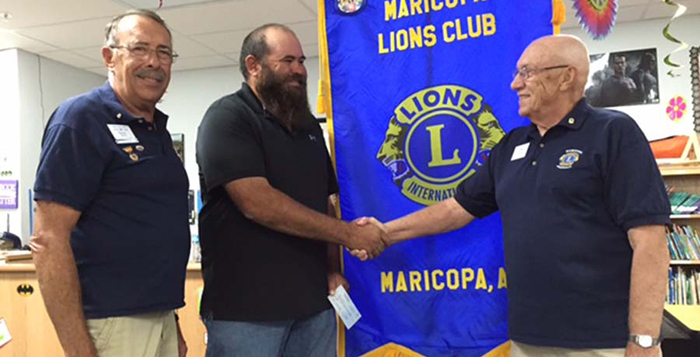 73, was presented with a check for $1,895 at the April 12 Lions Club meeting. Park said he bought his ticket outside Ace Hardware, and he and his wife will use his winnings to celebrate their 10th wedding anniversary. The presentation was made by Dave Bailey, chairman of the ball drop event, and Dave Bock, club president. The Lions Club’s goal next year is to sell all 1,000 balls. The prize will increase to $2,500.